This training is SOLD OUT! Steve Linder is the absolute top-expert in the field of neurostrategies (NLP, Hypnotherapy, Spiral Dynamics). Linder is also responsible for the final certification for graduating Tony Robbins Master Teachers for more than 10 years. Steve is the expert in the field of application of the neurostrategies. In June 2012 Steve Linder will return to the Netherlands! 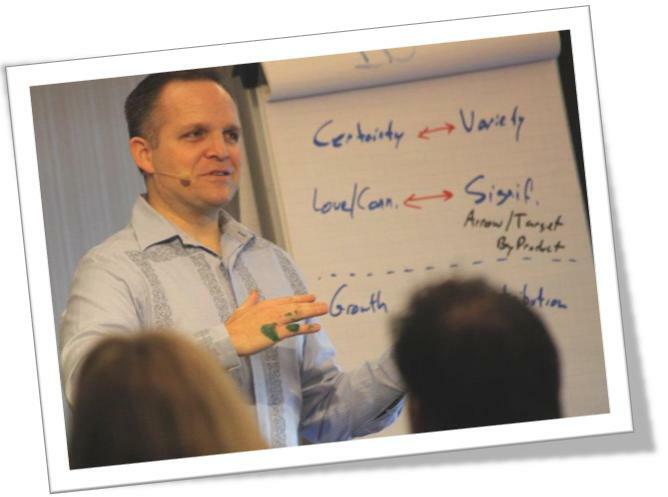 This program is only a few times per year and usually in the U.S. On 20-24 June 2012 he will give his ‘Five Day Training’ for an exclusive group of European participants in Netherlands, especifically for coaches, entrepreneurs and interested people in peak performance & NLP. Bring your coaching skills to the next level. Use NLP Neuro Strategies in practice and learn new skills to transform your life and the lives of the people around you! Access the resources of both the conscious and unconscious mind to gain the body’s support in ridding itself forever of addictions like smoking, drugs, alcohol, overeating, etc. As a follow-up to the basic course on 20 and 21 June 2012, the Advanced course of Steve Linder (22, 23 and 24 June 2012)let you see how your skills can bet in various situations in your daily life. You also get more insight into various powerful techniques that can help you in bringing real changes in yourself and the people around you. There are various degrees: NLP, Temporal Dynamics and Hypnotherapy. In this 3 days you will not only learn how the NLP Hypnotherapy, Neuro and other techniques work, but especially which technique is best for you to use (at a certain moment) and why. It’s possible this is the only time you can participate in the Five Day Training of Steve Linder LIVE in the Netherlands. Normally this training is held in America. Only in 2009 this training was in London. So if you want to participate you can click on the link below!